Robotic process automation will take over the litany of tedious tasks that slow us down. Robotic process automation (RPA) is transforming CX and customer care. Automating the repetitive, tedious tasks that often occupy personnel in back offices and customer-facing contact centers can provide meaningful benefits. It can reduce the need for a cumbersome back office, free up contact center agents to handle high-value, complex service calls, and enhance the user journey. RPA can address the dreary tasks that bog us down and automatically execute them without human help. The technology connects to databases and customer communications platforms to serve consumers faster and more efficiently than live agents. Tasks with multiple steps, such as retrieving an invoice, take time for humans to accomplish but can be handled instantaneously by RPA. Reading an invoice request, searching a database for the appropriate document, downloading the invoice, copying the customer’s email address, writing an email, attaching the invoice, and sending the email to the customer is a time-consuming process for an agent. RPA bots can fulfill the same request in milliseconds. Other simple tasks, like tracking an order or initiating a returns process, are easily fulfilled by RPA. The bots can find recent orders associated with an account in an enterprise’s database. They can also verify a product purchase and return eligibility then populate forms and automatically create the appropriate labels a customer will need to print and use for returning products. By handling these straightforward but time-consuming tasks, RPA bots freei up live agents to focus on more complex and high-value tasks. RPA enhances customer satisfaction by automating the customer service process. Automation enables self-service capabilities, streamlining and speeding up customer interactions and solving customer problems more effectively. Consumers hate dealing with tiresome customer service calls, and the data proves it: for the third year in a row, self-service interactions surpassed all other options as customers’ preferred service channel, according to Forrester. RPA is the engine that powers self-service channels like Visual IVR or online chats. With self-service, customers gain access to most of the options and activities that once required help from live contact center agents. Customers don’t need to trouble themselves by working with an agent. They tell RPA bots what to do, and everything is handled automatically. Efficiency is the defining characteristic of RPA. No matter how talented a contact center agent might be, an RPA bot is simply more efficient at many basic tasks. RPA can handle more customers faster than a human agent, and it can also handle many times more customers simultaneously. When bots fulfill the simple tasks that comprise most contact center operations, the calls that used to get sent to back offices never need to be transferred. With RPA implementation, enterprises can shrink their back offices and reduce their costs. 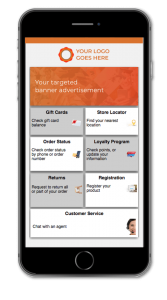 When arts and crafts retailer Michael’s launched a Visual IVR utilizing RPA technology, it produced cost savings of $47,000 in its first 3 months of operation. With RPA and self-service platforms taking care of simple tasks, the calls that do make it through to contact centers are more interesting and high-value interactions. With RPA handling more tedious interactions, live agents have the freedom to treat these complicated calls with the attention they deserve. RPA allows enterprises to shrink the number of agents they need, and also empowers the remaining agents to achieve more meaningful successes. The combination of Visual IVR and RPA creates an incredible ecosystem that can elegantly answer customer questions without the need for live agents. When customers submit queries to automated customer channels, Visual IVR captures that information and RPA processes it. 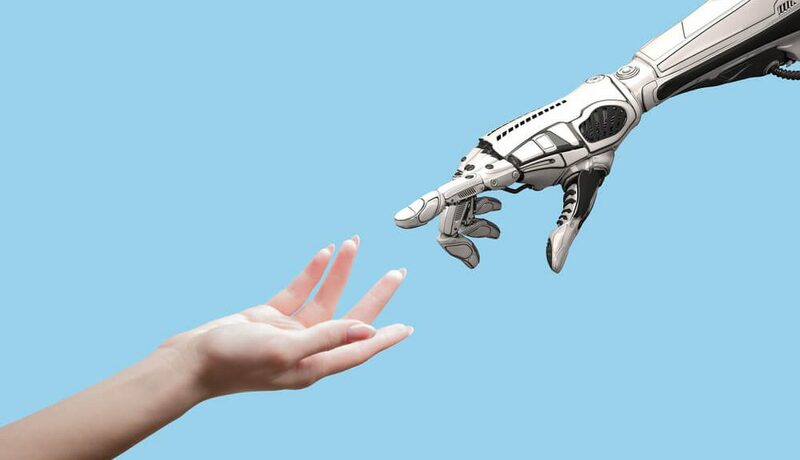 When a self-service user requests more data, RPA bots can pull the required information directly from relevant back-end systems through API connections. A customer calling a Visual IVR-enabled enterprise simply taps the order status option for a list of all active orders associated with their phone number. Processes like these would have taken extended conversation with a live agent to complete, but are now handled in seconds by customer-facing Visual IVR solutions connected to RPA systems at contact centers. RPA is the engine driving the powerful self-service interactions that enhance CX and reduce costs for enterprises, especially when implemented with Visual IVR. Robots won’t replace humans, but they can be extremely helpful by taking over the tiresome, routine jobs that weigh down agents today. RPA frees up agents to focus on the high-value and complex interactions that truly matter to customers. Johnny Rosa is a Marketing Assistant at Zappix, the leading provider of Visual IVR, creating technology to increase customer self-service, reduce calls to live contact-center agents, and lower costs for enterprises. A natural communicator, Johnny enjoys nothing more than talking with others about their passions. Seeing new opportunities to connect and convey ideas is a constant adventure for Johnny.